Lakeside, Ca is no longer the “rodeo town” it used to be. Where there once were ranches as far as the eye could see, commercial buildings have popped up in their place. The strong railroad system running through and around the city brings opportunity for business growth. Despite the strong historical presence of landmarks and protected buildings, Lakeside is a thriving business community and commercial buildings are on every block. 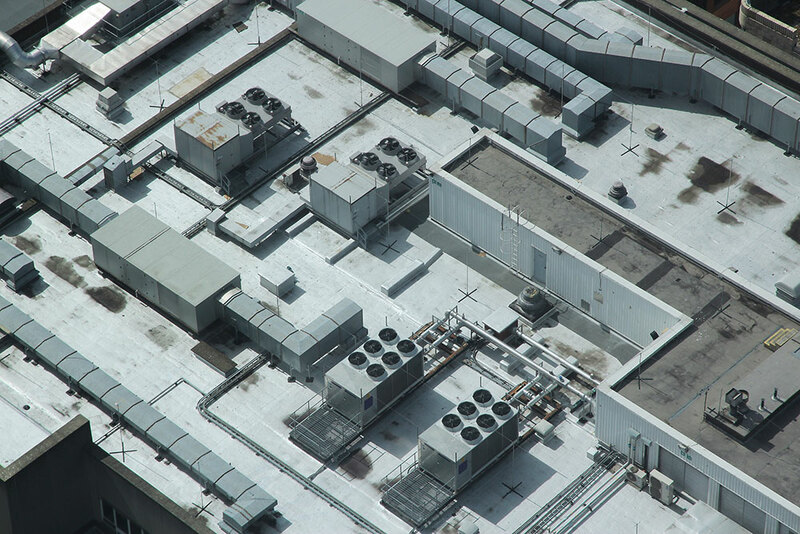 Owning a commercial building can be stressful and we understand the importance of having a roof in good condition. We also understand that commercial roofing differs from residential roofing and that is takes a specialized contractor to perform the best services for your commercial building. No job is too great or too small for us and we can handle everything from minor repairs and inspections to maintenance and new roof installation. Our team is trained and experienced in working with commercial roofing and we can design your roof the way you want all while staying within the budget you have. We can additionally provide thermal, structural and weather-proofing needs if you so desire. Commercial buildings come in all shapes and sizes and we have the means to maintain your roof no matter what style and size you have. We work with apartments, high-rise buildings, factories and office blocks and have the tools and know-how to get any job done with high quality. We understand that you have a business to run, so aim to get the roofing work done without interrupting regular business flow. There are a number of roofing types and styles to chose from and we work with you to decide what best meets your needs and your budget. Regardless of material and style, we guarantee to only use the highest quality materials and make sure you understand that each has unique features regarding safety and waterproofing. The main roofing types we can offer are discussed below but we are available to answer any questions and work with you to find the best fit. • Coated roof: A coating is typically added to your roof to extend its lifespan and offers a cost-effective option over replacing the whole roof. These roofs are water-tight and reflective so help keep energy costs low and during summer months, the air conditioning will not have to run on high. • Metal roofing: This is the standard roof type for commercial buildings and is made from corrugated metal panels that are attached to the structure. Typically, steel or aluminum is used as they are both light but very strong and fire-resistant. You can also go with galvanized steel, which is very efficient and lasts up to 40 or 50 years. • Built-up roof: These use different roofing materials to the traditional styles, consisting of multiple layers of felt or fabric that have been laminated together with tar or coal. These roofs are able to cancel out noise and are waterproof, lasting close to 20 or 25 years. • EPDM: (Ethylene Propylene Diene Terpolymer) EPDM roofing is made from a synthetic rubber which has been fashioned from oil and natural gas. These roofs are UV resistant and great for withstanding weather and normal wear and tear. The strength of this roofing allows it to last up to 40 years or longer. • Thermoplastic: This roofing consists of a lightweight material known as PVC which allows the right to be reflective as well as resistant to UV rays. They also prevent tears and abrasions and are resistant to most chemicals allowing the roof to last between 15 and 20 years. • Bitumen: Typically, modified bitumen is used and is perfect for preventing abrasions, tearing and is weather resistant. These roofs are reinforced with polyester or fiberglass and are great for areas that experience a lot of rainfall, due to their excellent waterproof qualities. Whatever style or material you choose we have the specialists to get the best options for your building and budget and work with you throughout the project to meet your satisfaction. Do you need a Commercial Roofer in Lakeside CA?